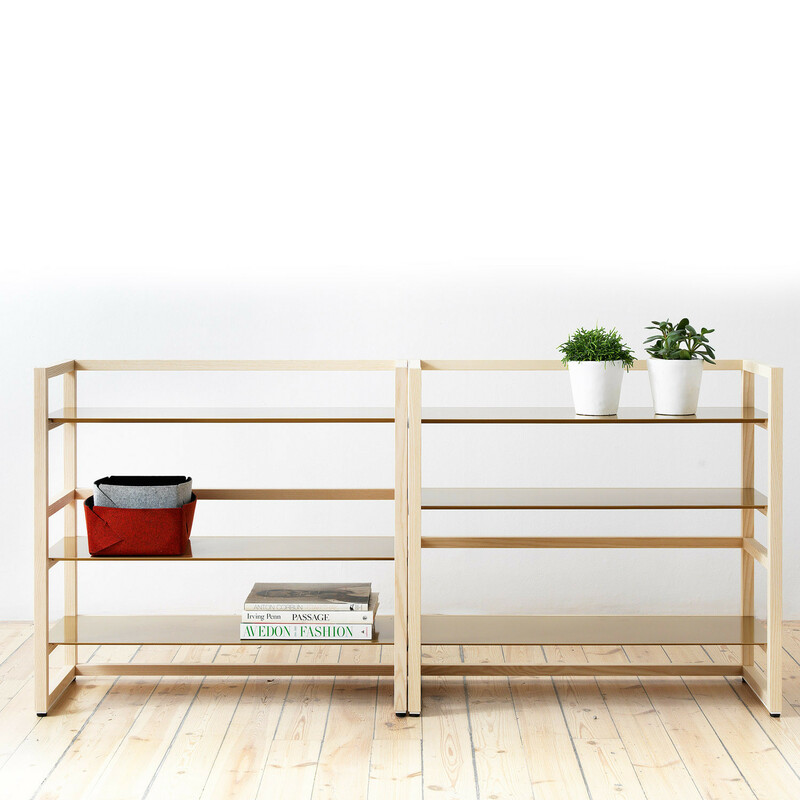 The Tre Shelving System designed by Nina Jobs will fit perfectly on a living room or in a home office. 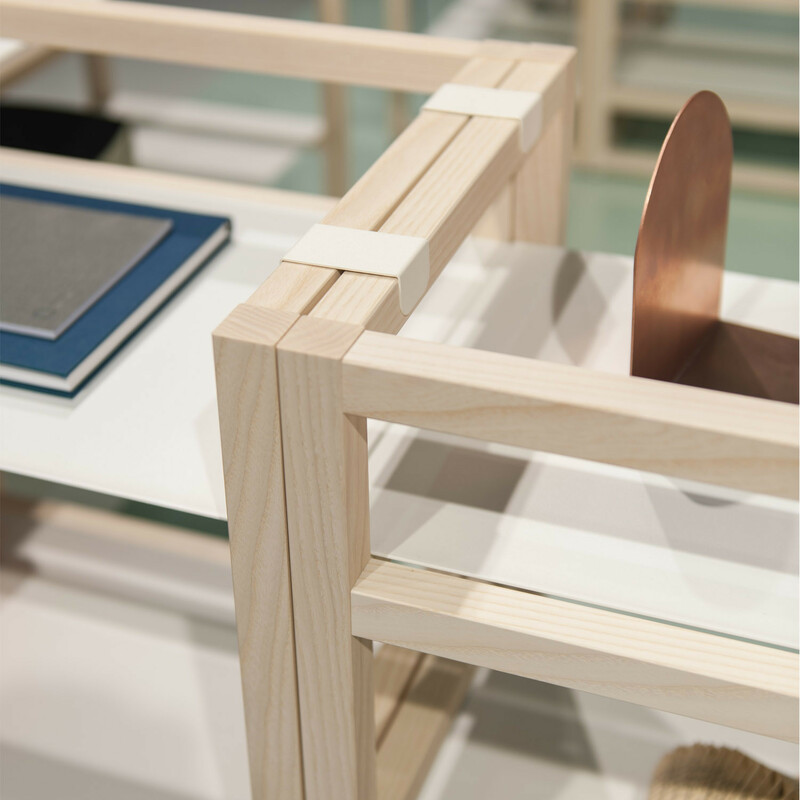 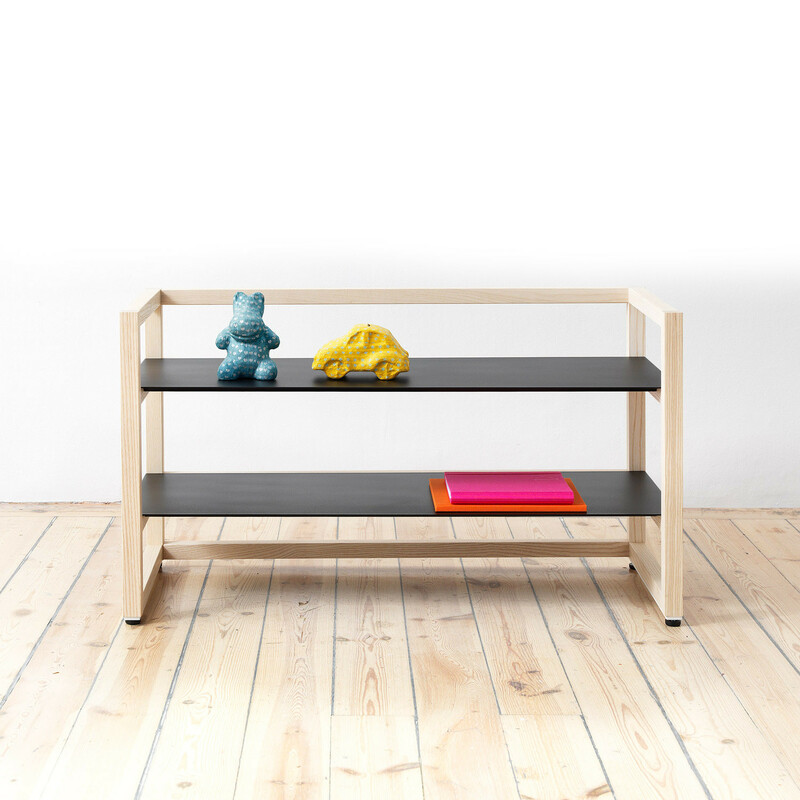 Inspired by the Japanese sliding doors, the Tre Shelves are made with no visible screws or nails, and present an interesting combination of materials: wood blocks and thin metal shelving. 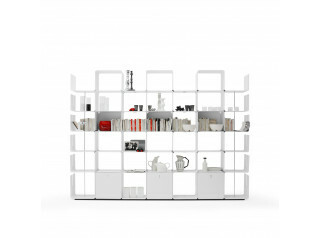 The Tre Shelving Collection comprises three different heights which can be easily combined. 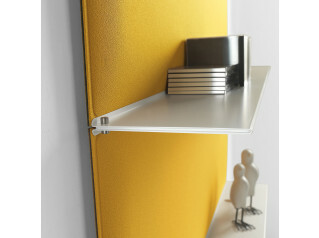 Available in: white, black and brass lacquer. 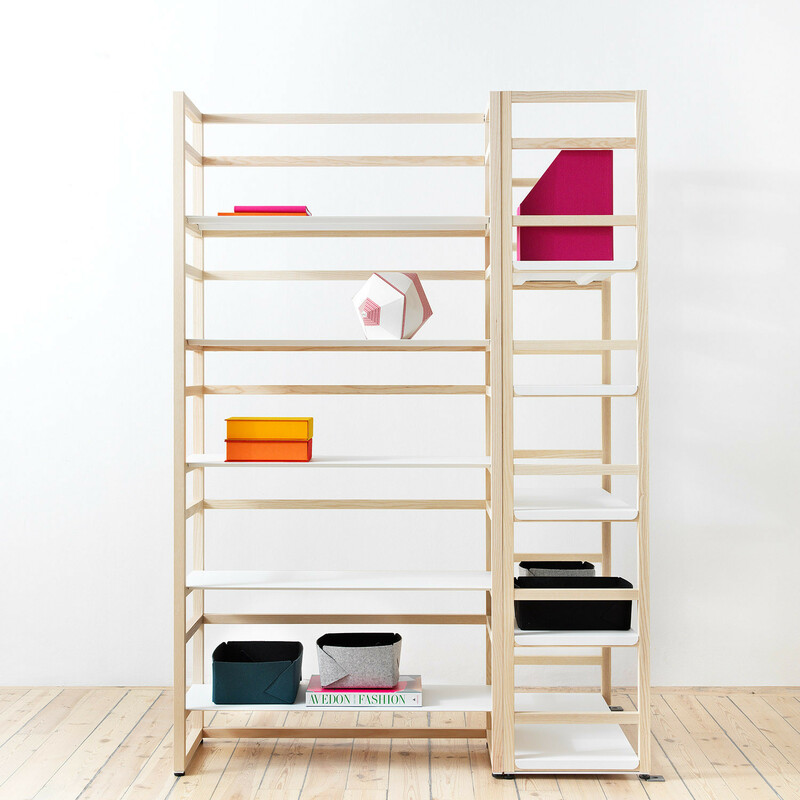 Additional shelves can be purchased separately. 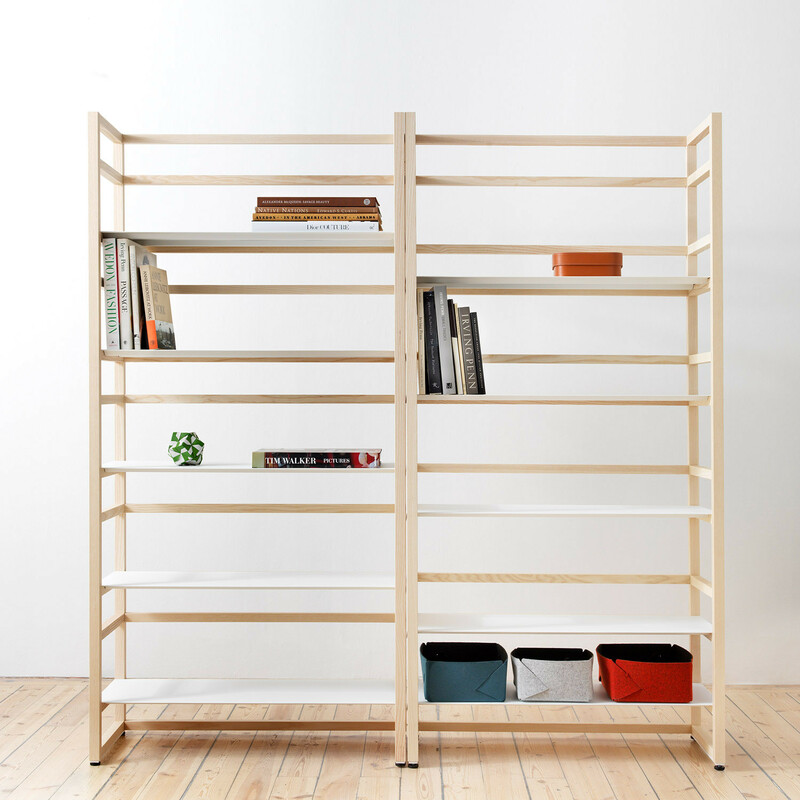 You are requesting a price for the "Tre Shelving System"
To create a new project and add "Tre Shelving System" to it please click the button below. 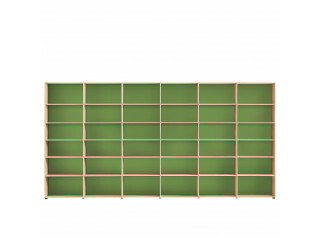 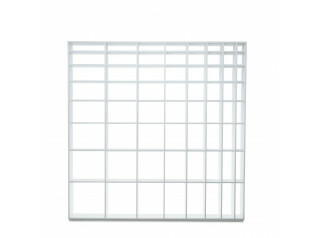 To add "Tre Shelving System" to an existing project please select below.